Figure News - Completely unexpected S.H. 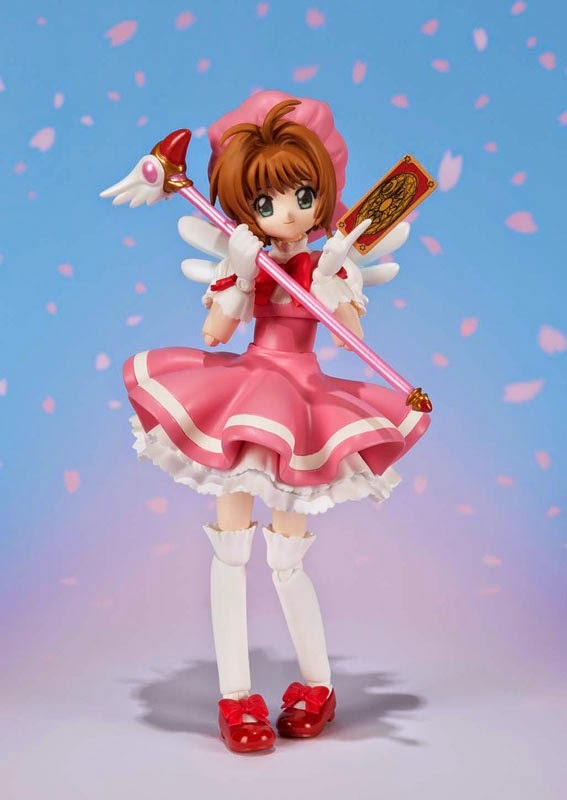 Figuarts Sakura figure! I did not see this coming. 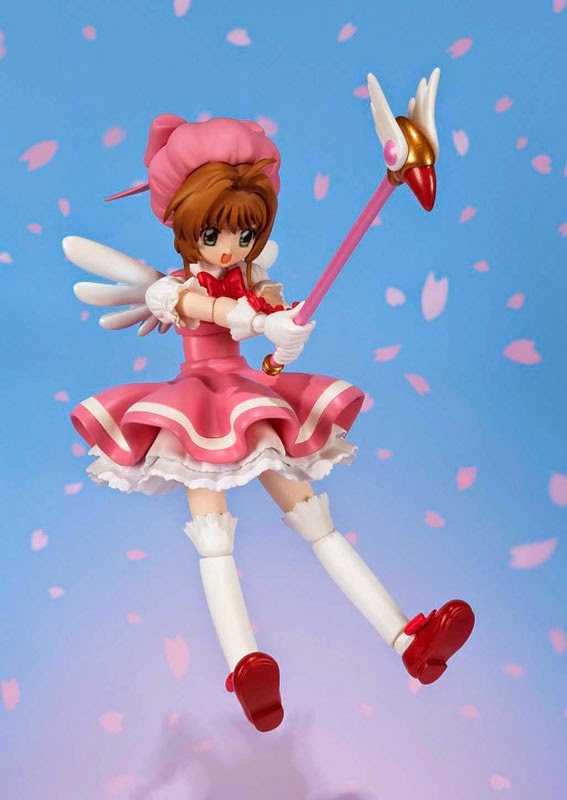 This morning as I did my rounds checking the sites I follow and the like I was shocked to find on amiami that S.H. 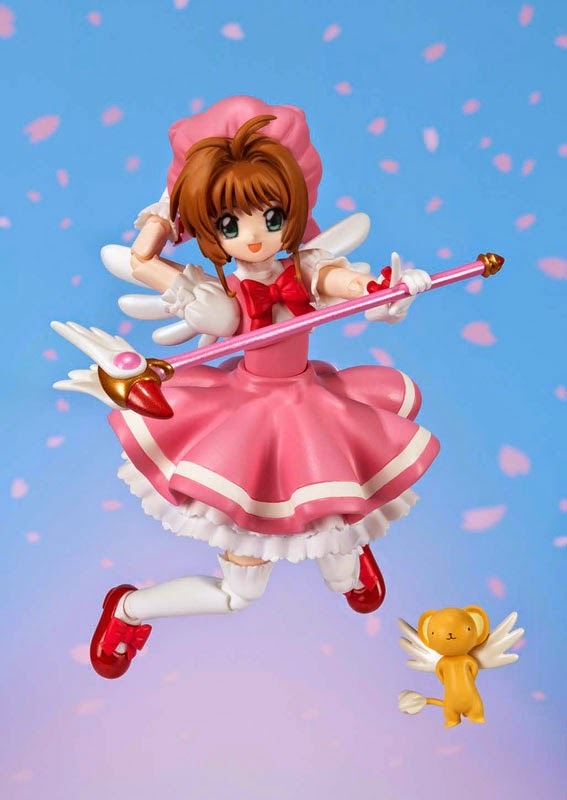 Figuarts has beaten Figma to the punch quietly releasing their own version of Sakura from Cardcaptors. She looks pretty good for a S.H. figure which is no surprise as they have slowly been refining their figures to look more alive and action packed. The first few in the series looked real stiff with no movement in their clothing or anything. 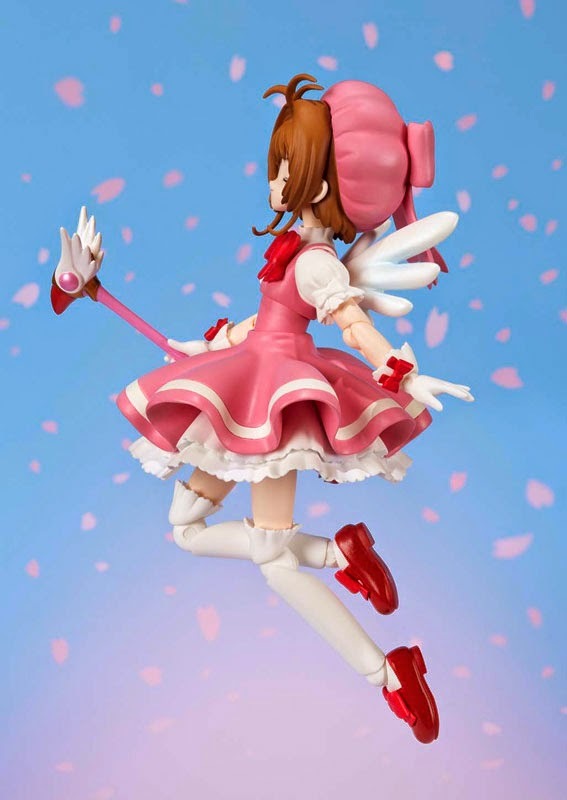 However Sakura looks great in fact I had to cross reference against the preview shots of the Figma version to check if I had got it wrong by mistake and it had been S.H. all along! But as you can see by the Kero they are indeed two different figures. So what should I do you ask in confusion, get the Figma or get the S.H.? Well I guess that decision comes down to personal preference. I've never picked up an S.H. before so I am rather curious also I think it is most likely that the Figma version will sell-out pre-orders fast. 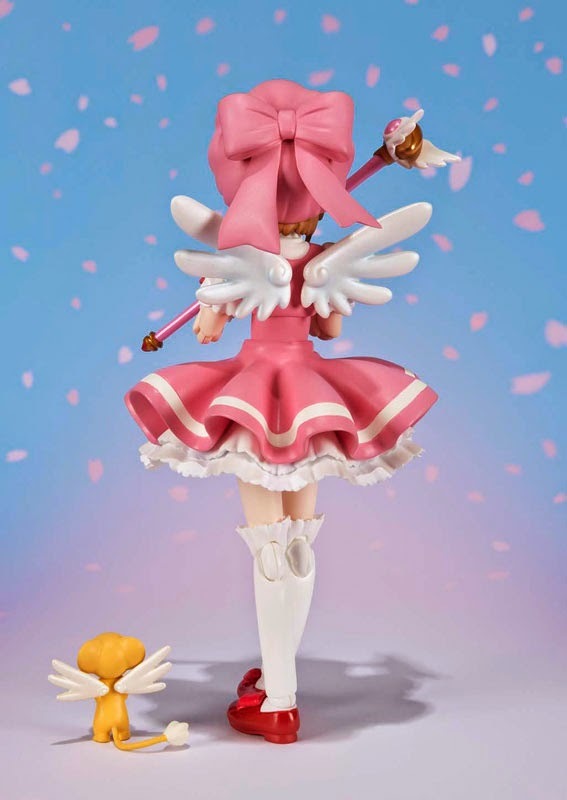 So I decided that in case I miss out on the Figma version I'll pre-order this one. If I end up getting both that's okay because then I could do a comparison review of the two lines, like I said I have been waiting to check out the S.H. line. Thus let the figure games begin! lol (I am just glad Sakura is finally getting the attention she deserves). I'd love to hear your thoughts are you going to go Figma or S.H. or both?